G & R Builders of Distinction, Inc. Comment: We are widening our kitchen. One wall needs to be moved back about 3ft, a ceiling soffit removed/raised up to regular height and a small side wall removed. We will demo it beforehand. Comment: I need to have three fence gates repaired. Comment: The house was built in 1971. In 1991 a local repair carpenter removed and replaced 52' of dry rot damaged lanai roof beam ( 4" x 12") and 14' of lanai fascia (2" x 12"). He also replaced 8' of fascia (2" x 12") on one corner of the house roof The work was done quickly and well It would not require replacement today if the gutters had been installed properly. Comment: I have purchased crown moulding and need it installed. Jeffrey L. Smith Construction, Inc.
Sarasota Carpenters are rated 4.83 out of 5 based on 675 reviews of 49 pros. 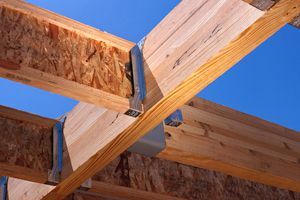 Not Looking for Carpenters Contractors in Sarasota, FL?